In April 2007, I documented Post Hurricane Katrina through a Kamoinge Inc. grant from the Soros Institute. “Ms. 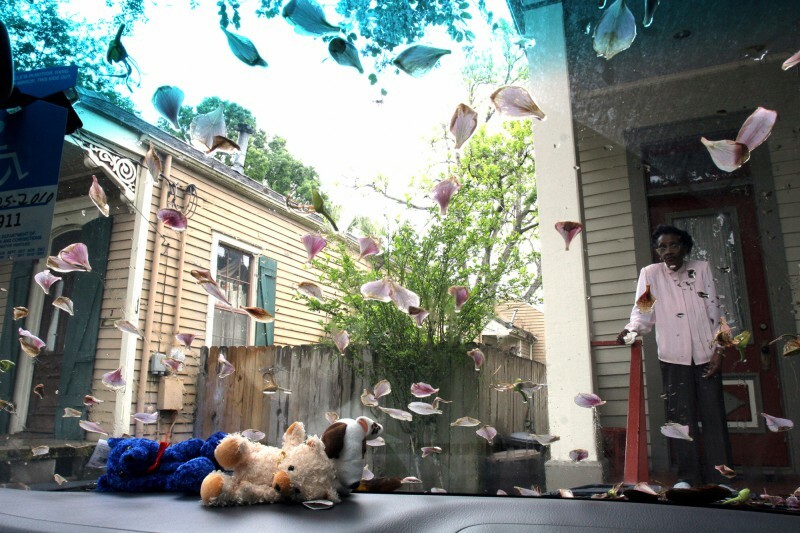 Alma Series” represents a culmination of Louisianan’s lives interrupted by the wrath of Katrina. Daily, Ms. Alma, a community activist, juggles the needs of her 92 year-old mother, Ms. Hayes (in photo) and her son’s medical needs. When Hurricane Katrina hit, his caretaker took him to Texas. The grandmother and mother were separated from him for three days. Life was very stressful for their family. For me it tells the story of survival because their will was stronger than Hurricane Katrina. Collette V. Fournier is a RIT and Vermont College grad award winning published photographer. She’s documented Amistad and shipwright and crew from Mystic, CT. to Nova Scotia; Black Motorcyclists in America, multiple journeys to W. Africa, West Indies, and the U.S. She’s currently writing a personal narrative on photography. She has had a vivacious exhibition schedule of solo and group shows, curator, speaker’s bureau, power point presentations. Fournier is teacher/campus photographer at SUNY Rockland CC and is a member of Kamoinge Inc. UPAA and SPE. Lastly, she is developing photographic archives on fabric working large scale and Chiku Awali African Dance/Drum to incorporate Hurricane Katrina archives.